Here is the schedule for the 2017 Road Race Grand Nationals! Announced in September 2016, the Puget Sound Road Race Association (PSRRA) will host the 2017 International Kart Federation (IKF) Road Race Grand Nationals at The Ridge Motorsports Park. The event dates back to 1963 when the first edition was held at the Green Valley Raceway in Texas. PSRRA is looking revive the Road Race Grand Nationals as there has not been an IKF national road race event since 2013. 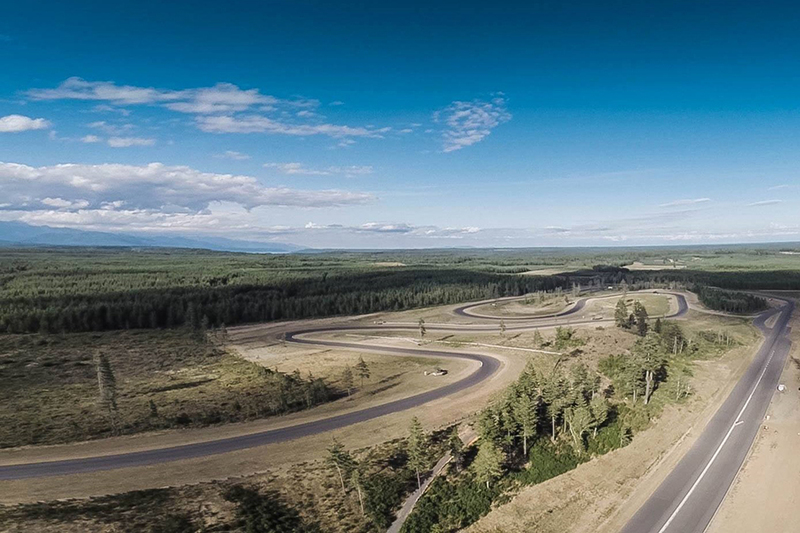 The Ridge Motorsports Park is among the newest road courses built in North America, with the Puget Sound Road Race Association finding a new home in Shelton, Washington. The 2017 edition of the IKF Road Race Grand Nationals is a four-day event to be held on August 1-4, featuring one day of practice and three full days of racing. Puget Sound Road Race Association is proud to announce a handful of companies lending their support of the 2017 IKF Road Race Grand Nationals as sponsors. Those include; Kart O Rama, CMC, SPS Racing, Mack Motorsports, Italian Motors USA, Advanced Fire Protection, Portland Karting, Hegar 4 Manufacturing, Shark Shifter. Those interested in sponsoring a class for the event may email Aaron Stanford. eKartingNews.com has signed on as the Official Media Partner for the 2017 event. EKN covered the Road Race Grand Nationals for the first time in 2008 at the Portland International Raceway along with 2009 and 2011 at the Eagles Canyon Raceway in Texas. PSRRA has received approval from IKF for the schedule and class list for the event. Registration is scheduled to open by Wednesday, February 1 for all the eager racers ready to show their commitment to the 2017 IKF Road Race Grand Nationals. Some big names have already made their verbal commitment for the race, including Lloyd Mack / Mack Motorsports, Midwest Superkart veteran Johnny West, Dean Martin, Ron White / Ron White Motorsports, Italian Motors USA team drivers, and three generations of the famous Hegar family. The official hotel of the event will be at the Little Creek Casino Resort, located at 91 WA-108, Shelton, WA 98584. If you mention that you are racing at The Ridge Motorsports Park, you will receive a discounted rate of $69.00 per night. Racers must call 800-667-7711 to get the racer rate for rooms. Please let the desk know your racing at The Ridge. PSRRA is working on setting up a vendor row for the event. Please contact them if you would like to set up a booth at the event. Seattle Area Tees is the official clothing merchandiser, which will be on hand selling event merchandise throughout the four days. For those wanting to run on The Ridge Motorsports Park before the 2017 IKF Road Race Grand Nationals, PSRRA is having a club race June 2-3 as part of the IKF Region 6 Gold Cup Road Race series. The club will be hosting a BBQ and will arrange a concession kart race on the sprint track – The Olympic Grand Prix. The four-person teams endurance event will be held following the race day and is open to anyone over age 13. If you have any questions feel free to contact Aaron Stanford or Lisa Stanford. Be sure to follow our Facebook page.